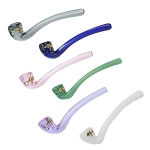 Our beautifully handcrafted 4-inch Galaxy Pipes feature an interstellar space-like design that will change its shade of color dependent on lighting. 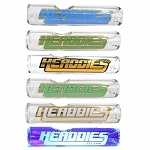 Topped off with our HEADDIES® signature logo, this pipe is a must have for avid smokers. Join our mailing list and receive a 10% off coupon emailed directly to you. Copyright HEADDIES® DIRECT. A division of Bridges Machine and Tool LLC. All Rights Reserved.